Round black linen shade, reflective liner, frosted glass diffuser on bottom. Our 3-Light Crystal Drop Pendant Light displays clear glass formed into an antiqued, silver patterned metal shade. The transitional design delivers instant appeal to your home. Its fabric diffuser rewards a bedroom, kitchen or foyer with a soft, glare-free ambient light. Updating light fixtures is the most effective way to accomplish a striking, yet simple, DIY remodel. Combine this fixture with our Crystal Drop Semi Flushmount Ceiling Light for a seamless lighting renovation. 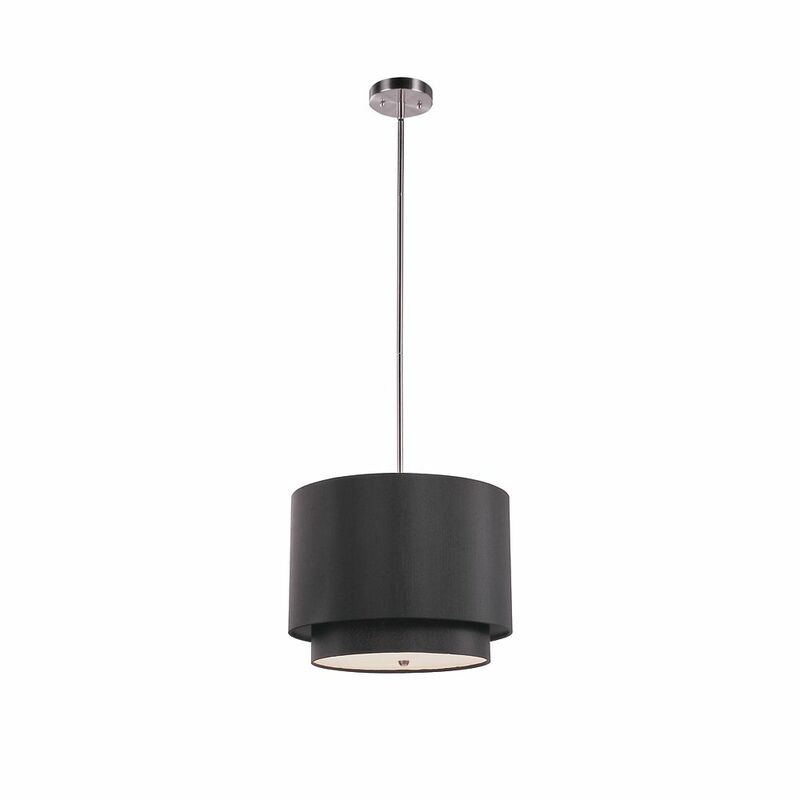 Layered 15 inch Drop Pendant in Black Modern chic pendant layered in solid colour creates a striking look. Acrylic light diffuser on bottom allows light to pass through without excessive brightness. Pendant attaches to 5 inch diameter swivel ceiling plate and can be hung from vaulted or slanted ceilings. Extra rods included for height adjustments. Hang semi flushmount or longer to fit.